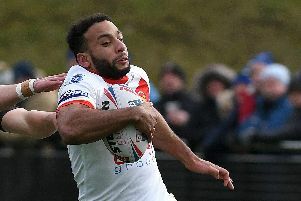 Sheffield Eagles director of rugby Mark Aston says his side showed the kind of steel that has been missing from his side in recent years following their narrow victory at Barrow. 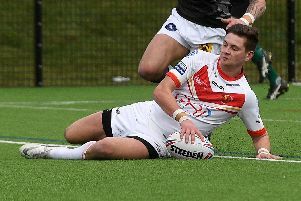 The Eagles maintained their 100% start to the 2019 campaign after Pat Walker’s penalty with the final kick of the game ensured a 24-22 success at Craven Park. Aston expected a battle, stressing conditions and a greatly strengthened Barrow outfit would provide a stern test of his new look side, following their sweeping opening day success over Swinton at the OLP. But the Eagles passed with flying colours, with Aston delighted with his side’s improved mettle against a robust Raiders unit. “It was always going to be a tough one,” Aston explained to The Star. “Barrow are a big, physical side who are always good at home. It was about how much steel have we got. We showed plenty of it, we needed it in abundance and we got it. “Twelve months ago, I don't think we would have got the result today, but we have shown that bit of steel which is great for us. The victory came at a cost, with Aston confirming that Brad Knowles may have broke a rib, whilst James Davey has tweaked a hamstring. Both are unlikely to be fit for Friday’s home game with Bradford. But Aston has more positives than negatives to contend with, stating his side have passed their first big test of the season. “It was a close game, we knew that it was always going to be,” he added. “They are a good team, and they will take a lot of beating at home. We are just delighted to get the result, and it will be a nice journey had by all on the way home.